In addition to supporting timely four‑year degrees, each campus will develop three‑year degree pathways for 10 out of its top 15 majors by March 1, 2016, which will provide students with another option to earn a UC degree. The UC has committed to promoting and encouraging these accelerated pathways with a goal that 5 percent of students will access these accelerated tracks by the summer of 2017. 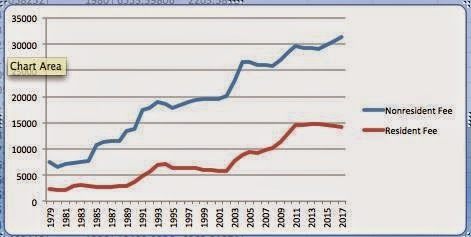 The reduction of time-to-degree is presented as a solution to a problem that would not exist absent university privatization: 3 year degrees are affirmed by the State insofar as they allow students to avoid paying another year's worth of high tuition and room and board. But this accelerated pace would diminish educational quality, and would impose on students an even more intense schedule, making it difficult for them to organize strikes and other sorts of unproductive activities. A couple other areas of concern are the agreements between the governor and UCOP that in-state tuition should begin to rise by at least the rate of inflation after the two-year freeze, the establishment of a third pension tier, and the $18 million dollar cut to the Middle Class Scholarship Program. 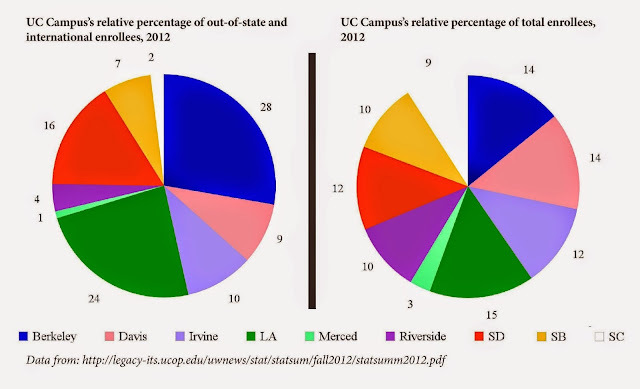 Not only does the out-of-state hike extract more money from certain students and thus divide the immediate interests of the student body, it also exacerbates inequalities between UC campuses, with those (like UCB and UCLA) with relatively whiter and wealthier student bodies receiving a disproportionate funding increase, while those (like UCR, UCM, and UCSC) with higher percentages of working class / students of color receiving relatively little increase following the hike, since they have significantly lower rates of out-of-state students. While the chart on the left shows the percentage of the out-of-state tuition hike that will go to the respective campuses, the chart on the right shows what a more equitable distribution of funding would look like. All of this is to say that Brown's revised budget is a politically ambiguous document, reflecting at once the power of mobilized students and the current limits of this power. 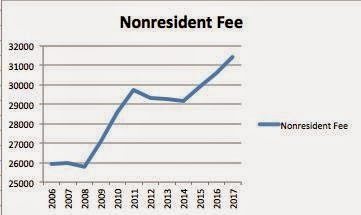 Those who rule the state (whether they be UCOP bureaucrats, the Regents, or State Representatives) have managed to chip away at the tuition freeze and to introduce regressive reforms of UC education, even as active students (led by those at Santa Cruz) have managed to hold off even worse privatizing reforms. Beyond tuition, there are a number of regressive dynamics happening at the moment with respect to the repression of student organizers. At Santa Cruz, students who blockaded a highway in early March are still suspended from campus under the orders of conduct officers. This is, I believe, the first extended suspension imposed by a UC administration on anti-privatization protesters in recent memory. And it's possible that Berkeley students who briefly occupied California Hall a few weeks ago demanding a community benefits agreement for the Richmond Bay campus could also be facing conduct charges. If such charges materialize, they would constitute the first student conduct prosecutions for political activity at UCB since the delegitimization of the Office of Student Conduct accomplished over the spring of 2010 by a group of Boalt law students and by other active students. Thus, on both anti-privatization and anti-repression fronts, much remains to be done. Update [5/15/15]: Chris Newfield is up with a new piece on the revised budget, that especially breaks down the total state contribution levels, the pension re-tiering, and the state's insistence on a certain minimum ratio of transfer to four-year students, among other aspects of the revised budget.